Gajdica is an archaic instrument, which was preserved by a single musician, Andrej Mizerak (1897-1977) from Lipany, a village in rural countryside of Saris region. 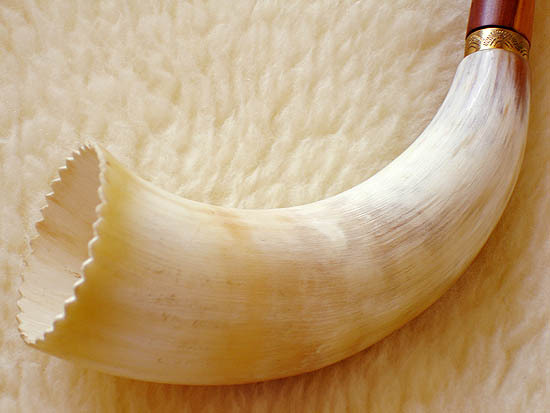 It consists of a wooden pipe with a cowhorn bell at the lower end. 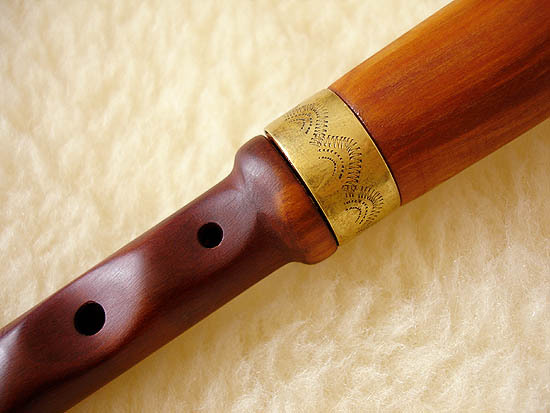 In the upper end, a single reed, made of elder, is inserted. The pipe has 6 fingerholes and a thumbhole. Traditional hornpipe tunes have the tonic in the middle of the compass, e.g. g´ at the range d´- d´´. 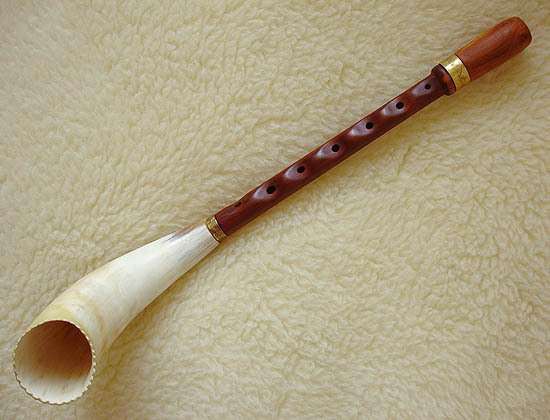 It is supposed that in the past simple hornpipes were used throughout the country. They were played by herdsmen just for fun while at the pasture, or also as a practice instrument by young aprentices of the art of bagpipe. Besides the traditional way, a d´ hornpipe can be played in D major, D mixolydian, e minor, f sharp frygian and similar, single tones can be also retuned by beeswax. Absence of drone and the way of playing by blowing directly through the reed gives this simple instrument possibilities, that together with its haunting voice make it realy interesting.